SEO is short for search engine optimization. 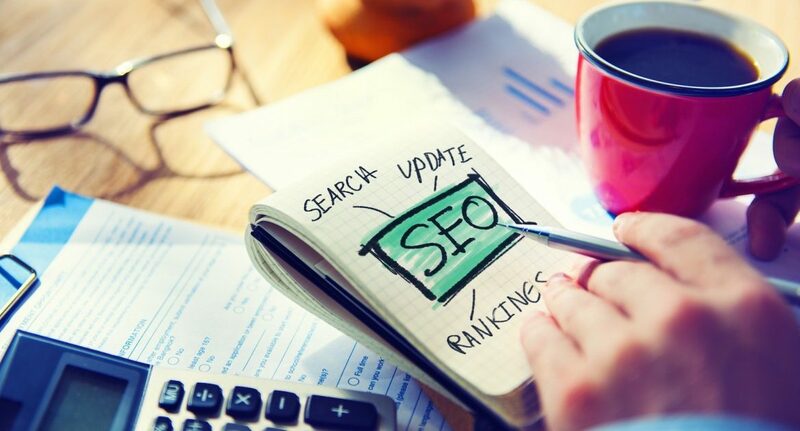 Search engine optimization is a methodology of strategies, techniques and tactics used to increase the amount of visitors to a website by obtaining a high-ranking placement in the search results page of a search engine (SERP) — including Google, Bing, Yahoo and other search engines. - Webopedia In simple terms or without a lot of technical jargon we could explain SEO or search engine optimization as making sure that your website appears on top of the results that comes when you do a web search using a search engine. To do this a lot of techniques are used. The most commonly used technique is using the correct/ appropriate or relevant key words that would be used to search for you or your website in the content that you add to your website. The key advantage of using SEO techniques is having your website listed on the top of a search result page. This helps the viewers to find you easily. Finding you easily would bring more viewers to your website and more visitors means more business or sharing more knowledge with the community. Another advantage of SEO is that you could take your website to the top of search result without making any payment to search engines. Rather than paying search engines to show your website on the top of a search result; it’s cost effective to do SEO on the website that you are going to publish or revamp your existing websites to map with SEO techniques. When you pay to search engines your website will be displayed as an advertisement but when proper SEO is done your site will appear on the top of the result list. We Enrich Arcane Sri Lanka; as an innovative and a creative web development firm in Sri Lanka; we believe in giving the most cost effective solution to our clients. As most of the development firms in Sri Lanka doesn’t offer the benefits of SEO; we enrich arcane Sri Lanka work hard to make sure that our clients makes the most of modern SEO techniques. As a Sri Lankan web designing and development firm we provide tips and guidelines to our clients or we ourselves do the content writing for the client. As a leading web designing company in Sri Lanka we grantee our clients that we provide them the best and the most cost effective solution. Not only optimized for search engines we also make sure that your website is responsive (i.e. : optimized to view through mobile devices as well). We also carry out social media marketing campaigns and social media maintenances for our clients giving them a competitive advantage in the market by directly addressing the required audience.